Many people live busy lives. This is probably because we have multiple roles and responsibilities that we have to face every day. Some of us are not only employees we are also mothers, husbands, wives, shelter volunteer, caregiver and many more. Some days are more confusing than others and finding ways to organize your day can become a problem especially if you find yourself doing multiple errands for different reasons at the same day. Luckily there are daily planners that make our lives easier. Simply jot down what you need to do so you can organize and schedule your day better. Daydesigners.com sells planners for focus balance and productivity. Their planners are very easy to use. Scheduling activities is like having a roadmap so that you can lump up similar tasks for better efficiency. Next you need to move your schedule from your head to paper. This will make it easier for you to tick things off or to remember what you still need to do throughout the day. Sometimes it can be hard to prioritize tasks and chores. 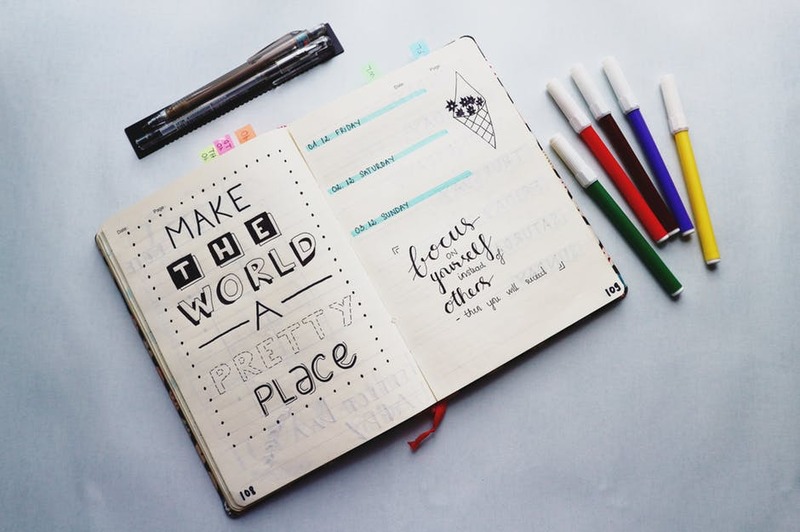 With a planner you can simply pick the 3 most important to-dos and write them on your planner. This will make it easier for you to focus on what you need to accomplish first before doing other things. Day Designer also reminds you with daily prompts so that you will have a guide throughout the day. Some people use sticky notes to remind them of things to do, people to call or phone numbers. With Day Designer, there is no need for messy Post-It notes. Just jot down numbers and write down notes all in 1 place. Lastly, being grateful helps you find joy in your life. Day Designer can help you become more grateful and mindful by reminding you to take a moment to find things to be grateful. Day Designer helps you to do all of this by buying their daily planners. They are made from luxurious leather with gold detailing for a professional look. The Day Designer A5 refillable binder is a completely customizable planning system. No need to buy a new planner every year. Just buy refilling pages when you need them. There is also no need to carry too many things inside your purse because the binder can store credit cards, important receipts or notes and keeps a pen handy, all in one beautiful planner. Buy daily flagship planner that can last a whole year, calendars and weekly planners, refillable leather planners or planner accessories. Get daily inspirational quotes, combined weekend pages with weekly overviews, goal setting worksheets and many more interesting features to help you stay organized and ahead of your tasks. All planners are crafted by hand using 90 GSM white paper in different attractive designs to suit your personality. Time management can be a challenge even for the most organized person. Using a daily planner from Day Designer can help you stay productive, work better and keep track of activities and responsibilities at any given moment. When you use a planner, each time you cross out an activity or mark it as complete, you’ll feel closer to attaining your goals and at peace with your inner self.